Here at Stannah, we understand that lift maintenance, however important, is not a subject that often wets the proverbial appetite! So we pride ourselves on making this process as painless as possible for our customers, with helpful and clear answers to the key questions shown below. How often should I have my lift serviced? The frequency of service visits depends on the type of lift you have, the number of floors served and the level and type of use it is subjected to. 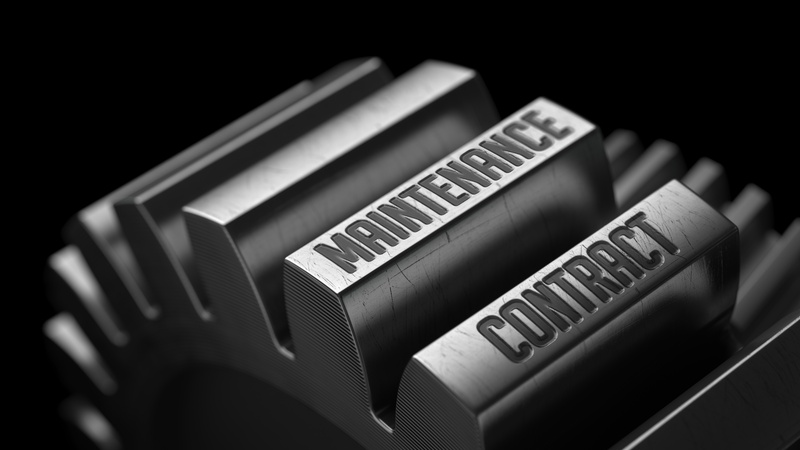 When deciding upon maintenance frequency, you should remember that servicing is about preventative maintenance, i.e. more service visits should result in a more reliable lift and lower running costs in the medium to long term. What does a service visit involve? During a service visit, an engineer will check the safety features on the lift, as well as cleaning, lubricating and adjusting all components for optimum performance. A Stannah engineer would then complete a service screen on his laptop, stating the work carried out and detailing any comments such as suggested repairs or works of improvement not covered by the contract. A report should be issued after each engineer visit. Will my lift be out of action while an inspection or service is taking place? Yes. The engineer will need to check many items within the shaft/structure and motor room and so the lift will be ‘out of service’ while the engineer is on site. What happens if my lift breaks down? You have a responsibility to make arrangements to deal with emergency breakdowns in the event that an unsafe condition may be caused. How quickly a breakdown is responded to will depend on what you put in place as part of your lift service contract. Stannah has a options to provide weekday call-outs, plus weekends or provides a 24-hour service, 365 days a year, from our 11 service branches right across the UK. What happens if my lift needs repair? In addition to the breakdown emergency service, your lift service provider should have the capability to provide a repairs. Will I be charged for breakdowns/repairs? This depends on the type of contract you have with your service provider and the nature of the fault. Matters outside a lift company’s control, such as misuse or vandalism, would normally not be covered by any contract. What happens if someone is trapped within the lift when it breaks down? The person within the lift car should be able to call for help via the emergency communication device within the lift car. Any reputable lift company should treat trapped passengers as a priority. Many lifts also now have a telephone facility within the lift car tailored for emergency use. Note: As a general rule, a person alone in a building should not use a lift. How can Stannah help me? Stannah Lift Services can help you to meet your obligations as a lift owner/operator by providing regular maintenance of all types of lifts from all manufacturers. Our 350+ highly trained lift engineers are based in 11 service branches, nationwide – together looking after more than 90,000 lifts and lift products across the UK. Still unsure? No problem! Get in touch to speak to one of our lift experts or click the link below to download your FREE guide to lift servicing and maintenance. With nearly 50,000 installations across the UK and over 90,000 units on our service portfolio, Stannah offer a wide range of lift solutions and services to move people and goods. Take a look at our product range or simply get in touch. Know someone else who might enjoy this article? Share it!